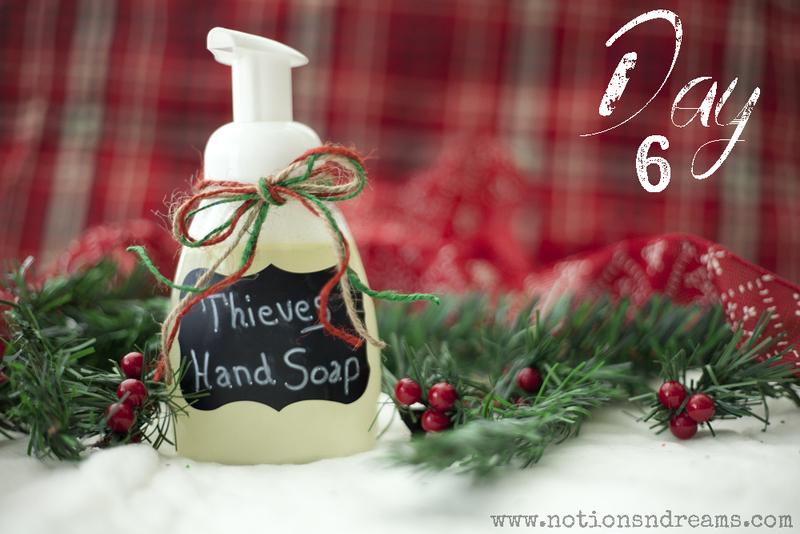 On the SIXTH day of Christmas my True Love gave to me……Clean Hands! Who wouldn’t want this nice smelling FOAMING hand soap?? I love how this makes my skin feels after using this soap and this is sure a great gift to give to someone. I had made a previous post on this very same recipe showing a video of my 4 year old making this all on his own. It’s THAT EASY! Fill soap dispenser with 3/4 cup of water and then add 1/4 cup of liquid Castile soap. Add the jojoba oil or fractionated coconut oil. Add 5-10 drops of Thieves oil. Shake gently to mix and there you have it! 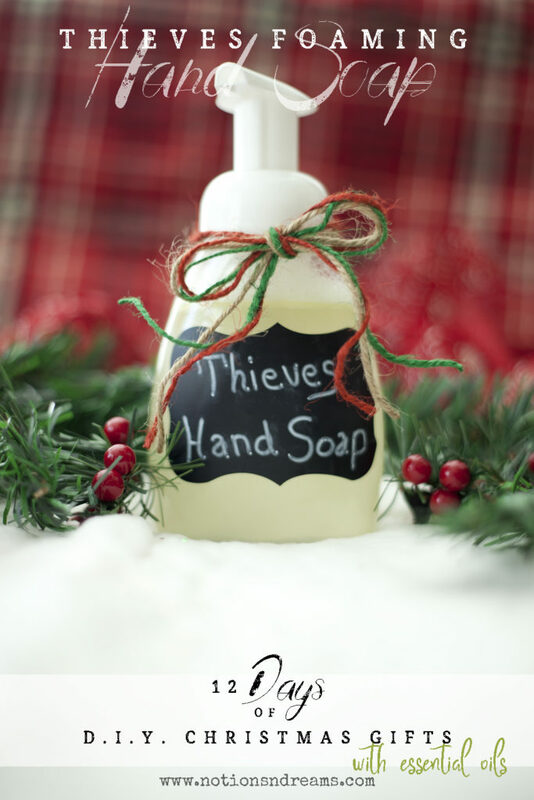 Your very own Thieves Foaming Hand Soap. You know the best part about this? You know EXACTLY what the ingredients are that you have in your soap.